Cereal, yoghurts, a can of pop… These are just a few things you’ll find a child munching and sipping on during a day, but did you know that a high percentage of pre-packaged food is high in sugar? Upon analysis of food labels, it’s surprising to find out just how much sugar there is in foods – especially those targeted at children. By the end of a day, you’ll be surprised to see how all those little bursts of sugar add up. As well as playing havoc with our moods – firstly giving us that feel-good high, followed by a slump, leaving us tired, irritable and craving more sugary foods – sugar is notorious for contributing to weight problems and health issues like diabetes. What’s more, sugar also plays a harmful role in tooth decay. The bacteria that form together to become plaque thrive on sugar. The more sugar that is consumed, the quicker the bacteria can multiply, helping the plaque to grow in size and thickness. Some of the bacteria also turns the sugar into a glue-like substance that they use to stick themselves to the tooth surface. This, in turn, makes it harder for bacteria to get washed away with saliva. While sugar has a bad reputation, it’s important to understand the two types of sugar. There’s naturally occurring sugar – like lactose in milk – and added sugar, which is the type you’ll find in most packaged foods. It’s the latter you should be avoiding. Something that makes it more difficult to avoid such sugars is that they’re often hidden – for example in savoury foods like ready-made soups, or low-fat diet foods, which use high sugar content to replace fat. While a bag of sweets may scream out sugar, more supposed virtuous choices, such as a cereal bar or orange juice also contain high amounts of sugar – with a number of cereal bars made up of more than 30% sugar. While you may pick these foods to please your little one and because of their convenience, there are plenty of easy, tasty swaps you could make. Swap high sugar fizzy drinks and squash for sugar-free squash, water or milk. Swap sugary breakfast cereal for porridge, toast or a bagel. On weekends, when you’ve got more time, eggs are also a great choice. Avoid ready meals as they’re often full of artificial ingredients and sugars. Instead prepare more meals and snacks with fresh fruits, vegetables, wholegrains and protein rich foods. Swap cakes, muffins and chocolate bar treats for a piece of fruit or handful of nuts and seeds. 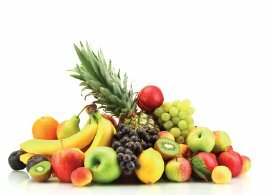 Fruit can be made more interesting by teaming it with other things – for example, slices of banana teamed with sugar-free peanut butter or fruits like banana or strawberries dipped in a bit of dark chocolate. Swap low fat sugary yoghurts with Greek yoghurt, naturally sweetened with berries.